Cosplayers stuck in a zombie apocalypse of anime proportions. Amidst a world overrun with undead assholes, a single group of Cosplayers must risk it all to save everything. Brought to life by Christian Casillas. Affectionately called ‘Javi’ by his roommate’s, Javi has a kind heart and a child like fascination with the world seeing the magic in everything. Strong of body Javier has the will power, loyalty and heart of a lion. Often pursued by girls because of his near flawless body, rippling chest and strong arms, Javier doesn’t have a big head and is humble; although his humor may suggest otherwise. MSA Fit Model, Christian Casillas of PERFIT Body and Firm Body Evolution (FBE) is a celebrity fitness trained; talented actor and producer. Most recently Christian has hosted and/or starred in weight loss series Tune Up!, Spanish Entertainment Series Tremens, thrillers Journeyman, Stakeout, Mirage and has recently broken into the telenovela world; all while, guest hosting and modeling on a number of entertainment programs. What is ZombieCON the movie? 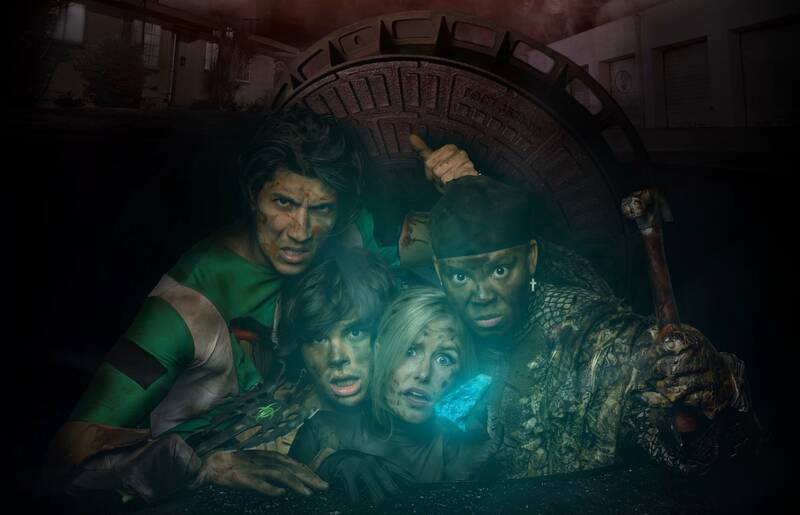 ‘ZombieCON’, is the first live action, full length cosplay movie, following a group of four cosplayers as they are forced to tackle a Zombie Apocalypse. This Cosplay Movie has handcrafted EVA Foam armor, cosplay masquerades, zombies and its very own con. ‘ZombieCON’, a movie about cosplayers, made by cosplayers, for cosplayers and who ever else likes awesome movies. Where to find/what is ZombieCON the movie?